Acne is a very common distress that affects nearly everyone. And it takes a long time to heal acne. It is common among women to try and hide their acne and acne scars under layers of makeup but it tends to make the situation worse. 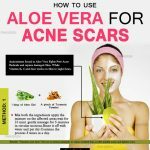 Let us read to know how effective is aloe vera for acne. Aloe has anti inflammatory and anti bacterial properties, which deep cleans the clogged pores of the skin. The gibberellins and polysaccharides present helps in proper synthesis of collagen produced in the skin. This collagen is essential for a healthy skin. Aloe acts as an astringent and helps in cleaning the pores of the skin. It is also efficient in increasing cell growth and blood purification, which helps to heal damaged skin. It locks the moisture of the skin and makes it look younger. You can however resort to homemade remedies for curing acne. Aloe vera has been considered an effective remedy against cane and any other skin ailment since ancient times. 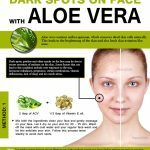 The anti inflammatory and anti bacterial properties of aloe vera helps to cleans the clogged pores and also treating both acne and the scars effectively. Apply aloe vera gel on the affected area. Leave it on overnight and wash it off with water the next morning. Best time to do: Before going to bed. Repetitions: Follow this process daily till you’ll get good result. Lemon contains a natural astringent and antibacterial agent that works as an exfoliating agent and helps to remove dead skin cells easily. Apply on the affected skin and wait for 10 minutes or overnight (if applied night). Rinse it off with warm water followed by cold water. Pat dry your skin and apply some oil free moisturizer. Repetitions: Repeat the process regularly. Note: Who have sensitive skin you can add few drops of water to this mixture. Anti Bacterial property of apple cider vinegar helps to protecting skin from pollution and harmful bacteria. It also makes the skin look shiny and healthy. Repetitions: Repeat this process daily for proper results. In a small bowl mix together tea tree oil and aloe vera gel. Make a smooth paste. Wash your face with your regular face wash and pat it dry. Apply the paste with your fingers. Let it rest for 30 minutes so that it soaks into the skin. You can make this aloe drink when you have those stubborn acne that just won’t go away. Blend all these ingredients into a smooth paste and pour it into a glass. You need to consume this drink at once for best results. Repetitions: Consume this drink daily for proper results. Take a small bowl and mix together aloe vera gel/sap with coconut oil. Make a smooth paste. Now gently apply the face pack on the acne affected areas using your fingers. Leave it to dry and then wash with warm water. Repetitions: Apply this pack regularly for at least 2 weeks to see changes. Pour 7 to 8 tablespoons of witch hazel extracts, 3 tablespoons of aloe gel and a few drops of your favourite essential oil. Close the bottle and shake it well. Using a clean cotton ball apply this mixture on your acne. Let it rest on your face as long as you want it to. Later wash your face with cold water. Take a bowl and mix together aloe vera gel, turmeric powder, and chick pea or gram flour. Make a very smooth paste with these ingredients. Repetitions: Repeat the process thrice a week. Mix together 2 tablespoons of aloe gel with the oil from 1 Vitamin E capsule. Let it rest for an hour or you can apply this pack overnight and let it remain for the night. 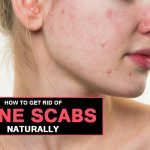 Repetitions: Repeat this process till acne are gone. Blend together aloe extract, walnuts, and honey and make a fine paste. Apply the paste ob affected areas with your fingers. Let it rest for at least 20 minutes for the gel to set in. Wash the pack off with lukewarm water and pat it dry. Repetitions: Repeat this process 3to 4 times a week. 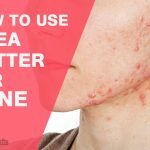 Try the above mentioned methods at home and get positive results for your acne. 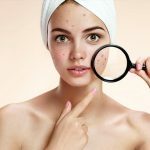 Acne has been a cause of discomfort for a lot of women and many have been cheated by various artificial and readily available chemical based cosmetics. We suggest one to use only home remedies to cure acne and avoid any cosmetics.